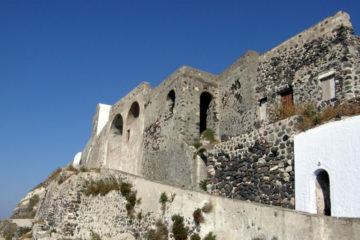 The most important castle of Santorini was the fortified settlement of Skaros which was the capital of Santorini until the 18th century. The original castle, known as Epano Kastro (meaning upper castle in Greek) or La Roka was built in the later Byzantine years. 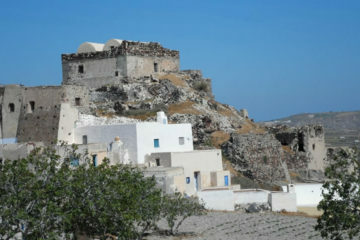 A whole settlement with 200 houses was built around and below Epano Kastro, the Kasteli of Skaros. 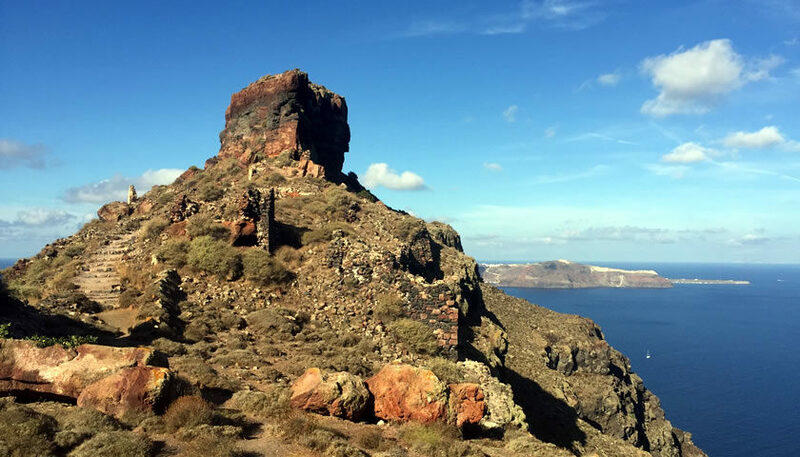 The earthquakes during the volcano eruptions of 1650-1870 had heavily damaged the settlement and made the inhabitants to move to Fira. Today only a few ruins are left. 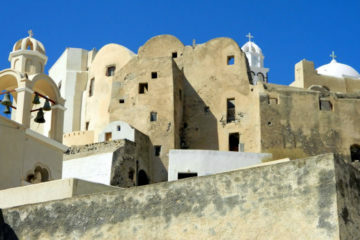 You can visit it by following a path from Imerovigli village and enjoy panoramic views to the caldera and the volcano.